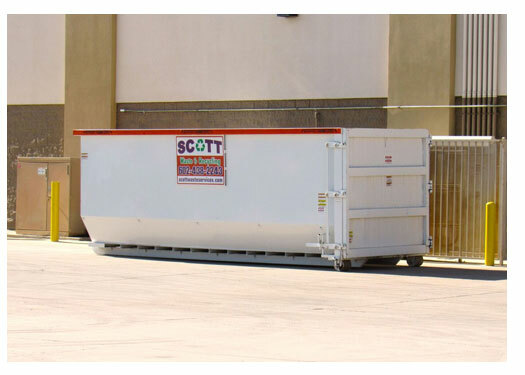 Scott Waste has multiple size construction dumpsters to rent near Phoenix, Mesa, Tempe, Scottsdale, and Chandler. Our roll-off dumpsters will help contractors maintain a safe, clean and organized job site. We specialize in small to medium sized projects with limited space, but can supply contractors with several of our large dumpsters if needed. We are happy to consult with you and help determine the correct size roll off container for your project. Call us at (602) 438-2243. Our smaller footprint dumpsters can be placed in any job site settings that is inaccessible to larger vehicles and containers. Virtually all of the contractors we work with are repeat customers. Timely delivery and pickup, extended rental times and repeat discounts make us the #1 choice for dumpster rental in Phoenix, Arizona. With any remodel or renovation there will be C&D debris – Scott Waste Dumpsters are the most efficient, cost-effective and reliable waste removal solution. 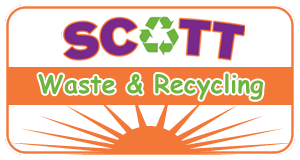 Contractors in Phoenix know Scott Waste Services is the best local dumpster provider, period. Call us today at (602) 438-2243 so we can discuss your next remodel or renovation project.